The Wii Pro Pack Mini has everything you need for great Wii playing. The Pro Pack Mini is smaller than the standard Wii Controller and comes packaged with a Nunchuk attachment and a built in Wii Motion Plus. 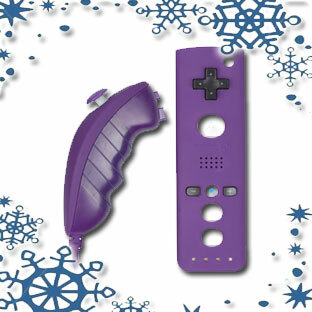 The smaller design makes it better suited for smaller hands, and the built-in Wii Motion Plus makes it more accurate and compatible with more games.